I have lived in my apartment going on 23 years. For all those years I would smell mold coming up and out of my vents. I never really thought anything about it other than, yuck!! I don't like that. I would block my vents by covering them with bags, but I finally have had enough. I have been very ill since last year, and even after taking antibiotics for an unrelated illness, I stayed sick. Lately it’s been headaches, very severe, and coughing that I can’t stop. I am fatigued, suffer from confusion, and now have chest pain, jaw pain, and also I am losing my hair. I have also had 2 cats die from having fluid around their lungs, and third one passed from cancer. The kitty I have now has been with me 2 yrs. and he now has breathing problems. I also have had many days I'm so fatigued I can’t stand or walk very far before needing to sit down. I have many more symptoms also, and I really believe that depression, and memory problems are a part of the inhaling of this mold for so long. So, anyway, I live upstairs above my landlord, and I told him over and over again that the mold has gotten worse in my apartment. He thinks I'm dreaming because he says he doesn't smell it in his apartment. I know I'm dealing with a landlord that has turned into a hoarder also. His home you can barely get through from one room to the next; he is lazy, filthy, and he doesn't even care that he has mice running all over the porch eating food he keeps there. Very unhealthy. Anyways, I'm not imagining the mold, and just because he can’t smell any doesn’t mean it isn't there. Last summer he hired a few local idiots to dig out the side of his house, because there was so much water in the cellar, he had to fix his foundation, and put in pebbles for draining. He said it was supposed to also fix the other side, but never did. He is very lazy, and everything he does is cob every job that needs fixing. I could write a book on this man. He has a lot of money, but never uses it in a good way. Like I said he is a hoarder, and he isn't spending money on anything. He is a garage sale fanatic! Since I can’t move, because I'm not working at the moment, I am stuck here. It’s a very unhealthy situation. I'm not one to ever be sick and it’s all I have been since last year. I'm not sure of what to do. Hi Penelope, sorry to hear about all of your health issues. 23 years is a long time to be exposed to mold. If you have not done so already, you should share your concerns with your health care provider. It sounds like your landlord possibly has mental health issues of his own, so I wouldn’t advise you waiting for him to clean up the mold. It doesn’t sound like that is going to happen any time soon. You might consider calling the department of health, and they could force him to clean the mold. However, there is not telling how that would play out. They could condemn the building and force you both to move out. He could get angry and evict you. Nothing is as important as your health, so I would advise you to move as soon as possible. I realize that you said that you aren’t working, but maybe you have some family or friends that could help you out until you are feeling better and able to find a job? 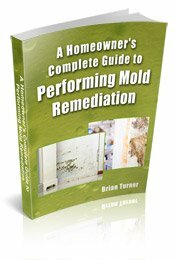 If you are disabled due to mold exposure, you may be eligible for disability income. There are attorneys that specialize in that are that you could contact.